Most of us spend eight hours a day or more at work, ending up spending more time with our work colleagues than that of our own family! 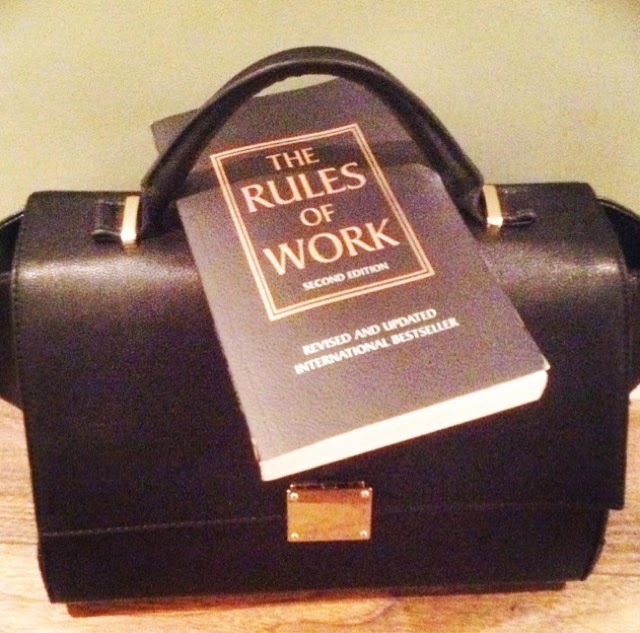 (unless you are lucky enough to work from home that is!). A few years ago, I bought a book at the airport called "The Rules Of Life" by Richard Templar. I used to really be into self-help books and this one was probably one of the best I have ever read. Inside it had one hundred 'rules' to live by...so many of them were 'Ah-ha!' moments, others good old common sense and most, just really, really good advice. It was an international best seller and the British author, Richard Templar, brought out a series of these self help books for all different scenarios of life. 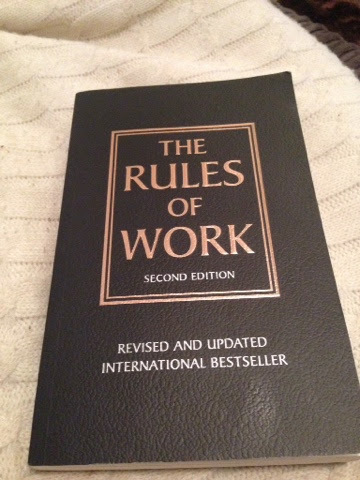 I brought The Rules Of Work (above/below) recently and again, this edition, is a great common sense guide and advice book on how to get on and be successful in your career. What is great about these books is you don't have to read it from start to finish like a traditional book. 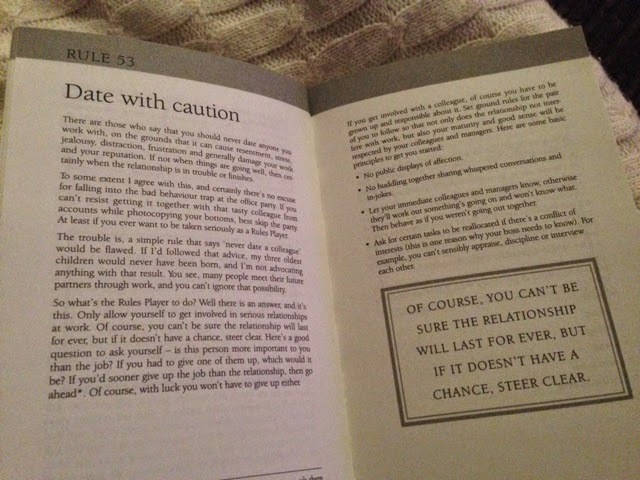 Each rule is spread over two pages, so if you just open the book randomly anywhere, it will give you a tip or rule that you could use for the day. 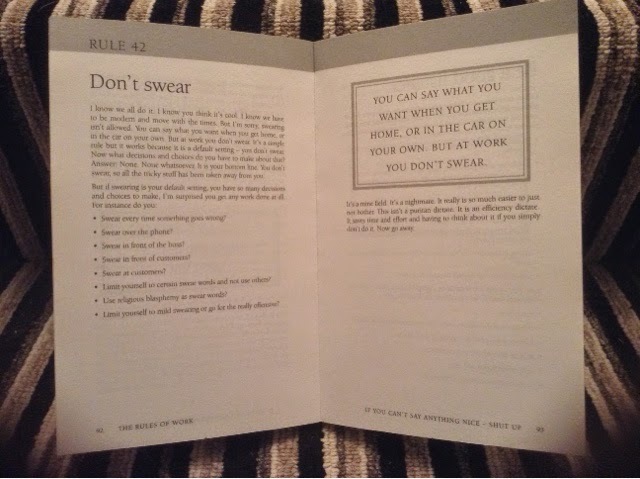 Don't swear: I love this rule and agree with everything that it says. Not only is it extremely unprofessional and offensive to swear at work, but in my opinion it also shows a lack of resilience and vocabulary! I have worked with so many people in the past who think it is ok to use bad language at work....whether it's to be humorous or to vent frustration, it is just not the done thing for in the workplace. 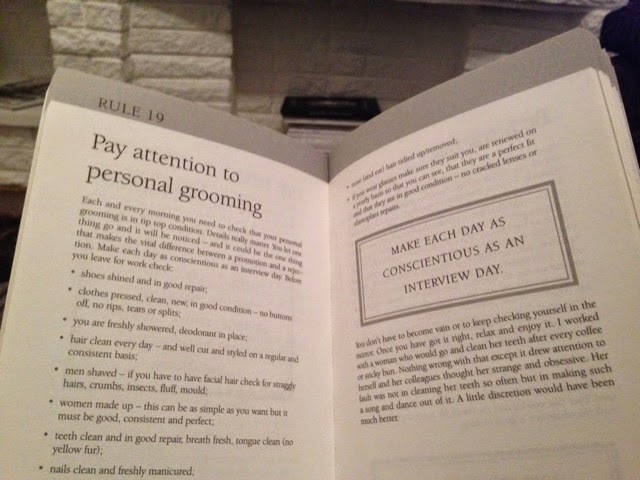 Pay attention to personal grooming: Absolutely a big rule for me. You are going to work, not to the gym (unless you work in a gym of course!). Having a groomed, immaculate appearance shows that you care - not only about the impression you give, but also about the work you do. An unkempt look can translate to lazy, slovenly and ultimately can give the impression that you are bad at your job...perhaps not the perception that you would want to give out. 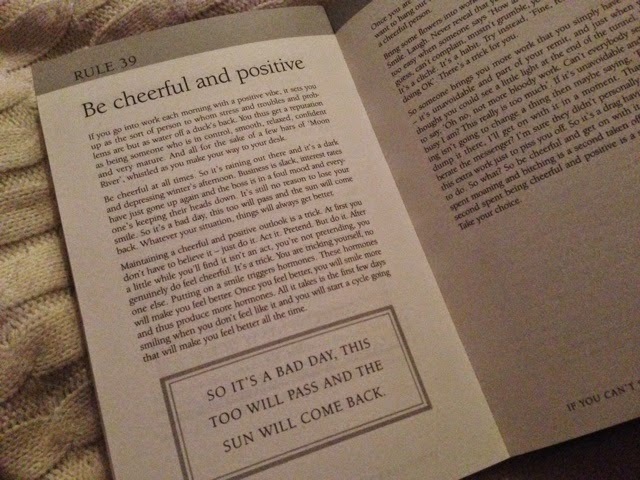 Be cheerful and positive: Another good rule. This one relates to putting those positive vibes out there and then seeing them return back. So often it is easy to turn up at work, being completely grumpy with everyone and feeling that it is going to be a bad day no matter what. Actually, you are in control of your day and the mood you are in and how you see and interpret things depends on the positive outlook that you can spin on it. Also, being so grumpy all the time can rub off and bring everyone else down around you and you'll soon become known as the 'miserable git' that no-one wants to sit next to at lunch!! Date with caution: Another good rule. Don't date someone at work if you can not handle the fall out. People will always talk (everyone likes gossip remember!) but if you are not someone who likes being the centre of office gossip do not put yourself in there!! 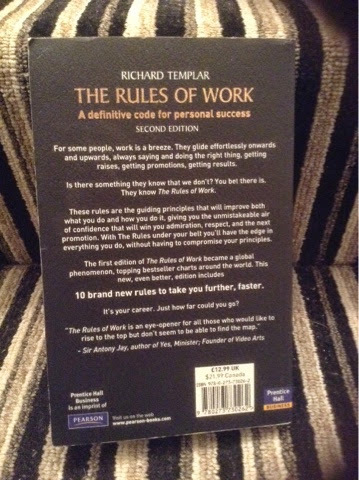 If you get a chance to read Richard Templar's series of 'The rules..' books, I would really recommend the Work, Relationships and Life editions. I've found them to be great, easy to read, funny and informative and at times, very straight to the point! I've read them all...they were gifted to me by a colleague at work. Great reads and very useful too...a must read. What a lovely gift from your colleague! Absolutely, I agree they are a must read.